In the French-American school where I work, lunchtime conversation in the faculty kitchen is invariably lively and spiced with the latest French news, gossip, and debate. 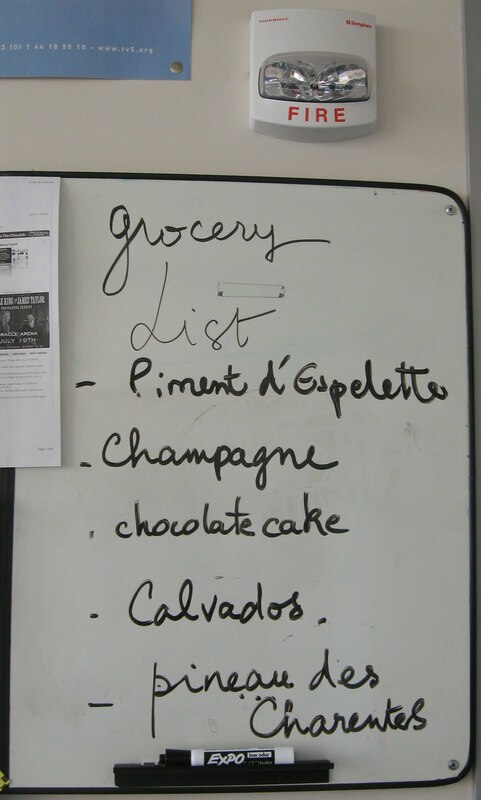 The dry-erase board's grocery list, however, is usually rather bland and limited to all-American staples such as sugar packets and disposable wooden coffee-stirrers. 1. 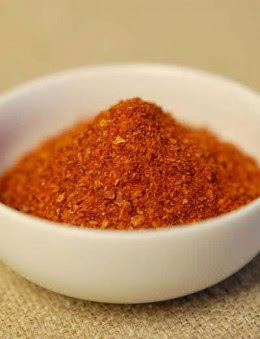 Piment d'espelette, a spicy pepper from the Basque region. 2. Champagne. Needs no intro, but hails from, duh, the Champagne region of France. 3. Chocolate cake. Universal. Many of my French friends have a special family chocolate-cake recipe which they will never divulge. Ever. The "I-love-this-cake-can-I-have-the-recipe" ploy falls on deaf ears. 4. Calvados. Ahh, Calva! Now we've got northern France covered in this list. 5. Pineau des Charentes. A personal favorite. Try it some time in a sweet, tiny half-canteloupe as a first course. From my beloved Ile de Re. Glad I've got my shopping list. Now I'm ready for the long weekend! Can you blame me for loading up on too much PT and not enough TP at times in Paris? (Hint: TP on the left, PT on the right). I'm too accustomed to American branding! Henceforth I will always be Cartesian and look at numbers on packaging.